Average studio rents have dropped in Boerum Hill, Cobble Hill and Brooklyn Heights, according to a new real estate report. BROOKLYN — Average rents in parts of Brownstone Brooklyn have dipped in recent months, according to the latest report from real estate firm MNS. Boerum Hill, Cobble Hill and Brooklyn Heights' monthly studio rents dropped by more than 2 percent from September to October 2015, stats show. The average studio price in Boerum Hill fell almost 2.5 percent to $2,311 as compared to $2,369 in September. The neighborhood also saw a 6.76 percent drop in average two-bedroom unit rents to $3,713 from $3,982 over the same time period — the biggest dip in the Brooklyn real estate market, the report found. Rents for studios, one-bedrooms and two-bedrooms dropped across the board in Brooklyn Heights. Studios saw a 3.17 percent fall — the highest drop in the neighborhood — to $2,400 from $2,478 in September. 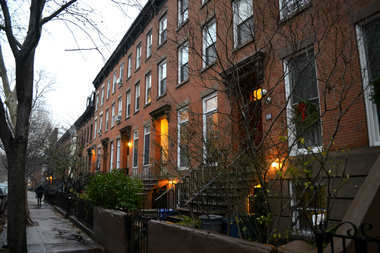 In Cobble Hill, average studio rents decreased to $2,000 from $2,059 — a 2.88 percent decrease. According to MNS, both Boerum Hill and Cobble Hill had an inventory of less than 15 units during the time of data collection - that includes studios, one-bedrooms and two-bedrooms. Park Slope studios also saw a drop in average studio rents from September to October by 3.5 percent to $2,011. Overrall rent prices in Brooklyn have dropped by .92 percent to $2,718 from September to October.